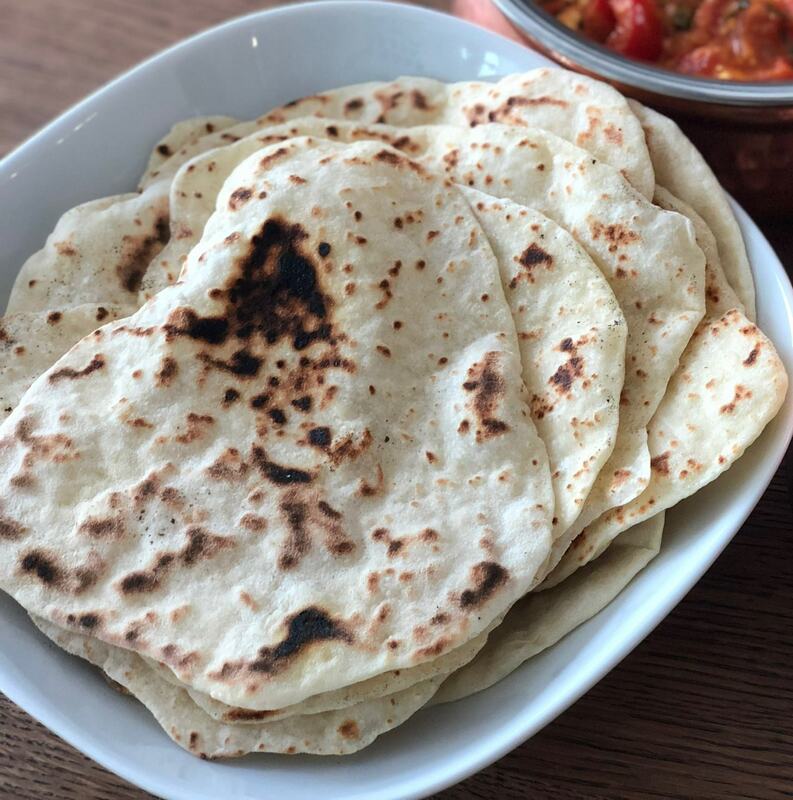 After having shared with you the recipes for two amazing Indian curries (chicken tikka masala and butter chicken), let me also show you how to prepare the yummy Indian flatbreads, that you can dip in those nice sauces! 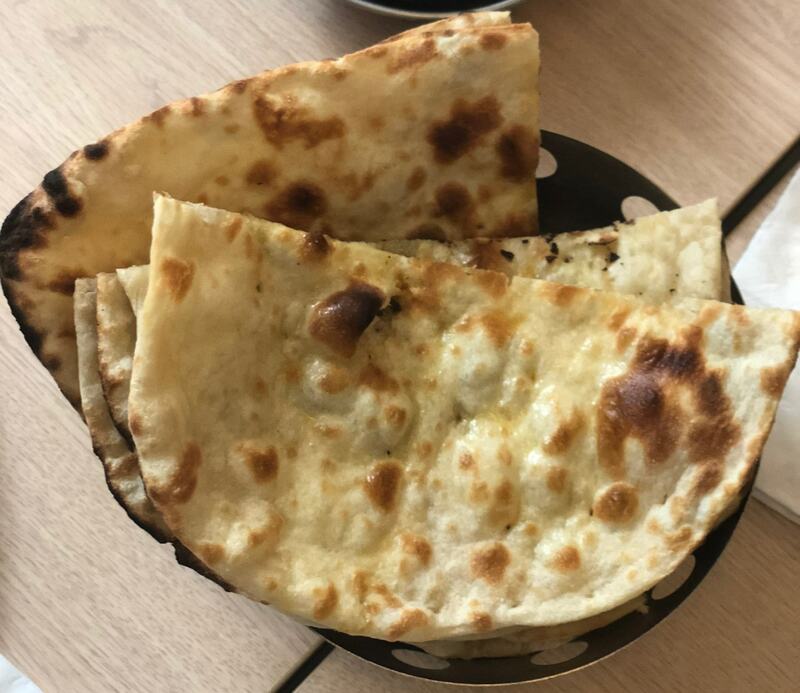 Naan is traditionally cooked very quickly in a tandoori oven, sticked on its walls and placed there using a long metal stick, that will give it a particular drop form. But, hey, who has a tandoori oven at home??!! We can still make Naan using a very hot grill skillet or pan which will give us the same burnt marks that make it so delicious! If you have a mixer you can definitely use. Otherwise, a bowl and your hands are all you need! Combine the flour (200g), yeast (4g), salt (3g), sugar (2g) and mix roughly. Add the yoghurt (40g) and the coconut oil (10g) and mix a bit. Pour the water (70ml) in a little at a time, keeping mixing. Knead well until the dough is soft and smooth, should take 3 minutes with the mixer and about 5 by hand. Cover and set aside in a warm place for 1 hour – the dough should double in this time. Punch down the dough and divide it into 6-8 pieces. Roll out each portion on a lightly floured surface. Heat your grill skillet very well, no need to add any oil. Place one (or two if they fit) naan on the hot surface and roast until it starts making bubbles, then it’s time to flip it and roast for about another minute. Set aside. You can brush the naan with melted butter or oil. If you want to make garlic naan, add a finely chopped garlic clove to the dough while making it. You can add fresh herbs to the dough or sprinkle them at the end on the hot naan. 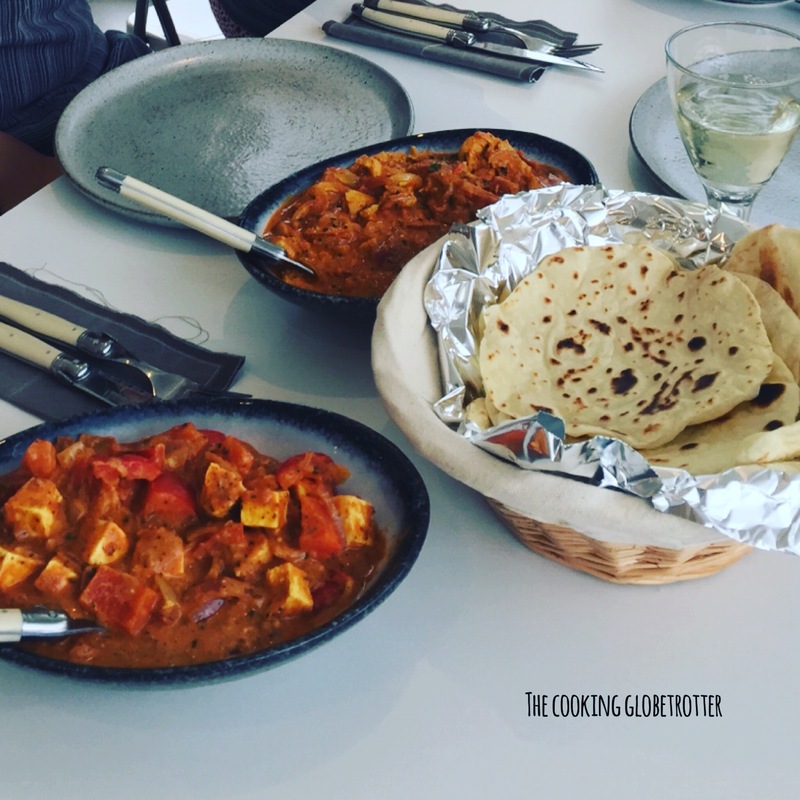 See my recipes for tikka masala and butter chicken on the blog, just click on the name and it will open it for you!